Electric cars have been gaining ground in the press over the past 6 months as auto makers finally embrace the concept and consumers are taking a leap of faith that the infrastructure can support plug-in battery powered cars. With gas prices over $4/gallon in most regions of the United States now, and predictions that the cost will climb to over $5/gallon by Labor Day, more people are looking for a viable alternative to forking over hundreds of dollars at the pump. For the first time in almost 3 years, crude oil is now over $100 a barrel. Automakers like Nissan, Chevy and Ford are sitting pretty, having developed and/or released mainstream electric vehicles (EVs) in recent months. And the impetus for the movement toward EVs is largely believed to have been the period of time in Summer 2008 when oil hit a record price of $147 a barrel. Consider this: in 2005, there were no lithium ion battery manufacturers in the United States. Just 6 years later, a number of battery plants are open or under construction. 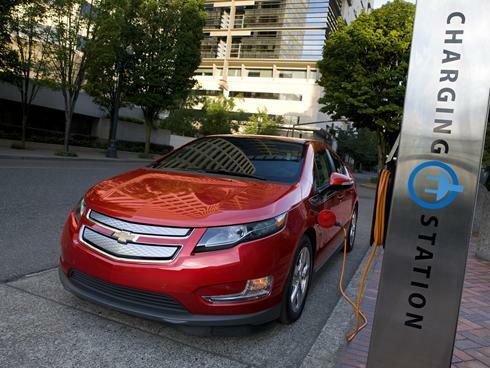 As a result, the battery for the Chevy Volt costs 25% less than it did just a few years ago. Experts expect that price to continue to go down, as gas prices go up. This is critically important for sales of electric cars to take hold in mainstream commerce. The battery alone of an EV may comprise 1/3 or more of the current cost of the vehicles. For example, the battery of a Nissan LEAF is currently about $12,000. But that could come down to $6,000 in the next three years. Reddy believes that the price advantage of conventional cars over EVs will narrow significantly. Its not just companies involved in battery manufacturing or charging stations that see a bright future for electric cars. Rental car companies like Hertz are embracing EVs as the transportation future. In addition, consumer electronics outlets like Best Buy are betting on consumers requesting products and assistance to install 220-volt electrical sockets in homes to provide rapid electric car recharging at home. 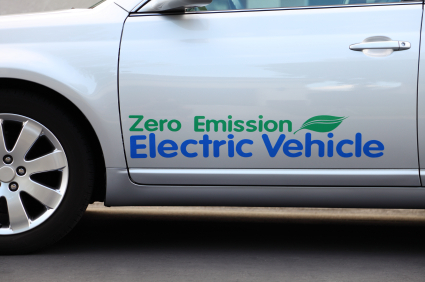 President Obama has challenged automakers to put 1 million electric cars on the road by 2015. That would mean that 1 in 12 cars sold would have to be EVs! With generous federal tax credits helping to reduce the cost of new electric cars anywhere from $2500- $7500, and state incentives thrown in as well, more people are considering electric vehicles these days. Did you know that the cost of rapid charging stations in your garage may even be eligible for a 30% tax credit? Higher gas prices will only add to the momentum fueling electric vehicle technology. In fact, the U.S. Department of Energy is funding research for next-generation batteries that can power cars for 500 miles on a single charge, which is double the number of miles you can travel on a single tank of gas. This is due to so-called “range anxiety” of car buyers, who worry about buying an electric car that cannot go at least 250 miles on a charge. I’d say just a few months of sky-high gas prices and people may be ready to put aside concerns about EVs and consider the benefits of driving an electric car! Dude these gas prices have gone totally out of control. Let’s Hear it for Electric Cars! Will 2011 Be the Year of the Electric Car?